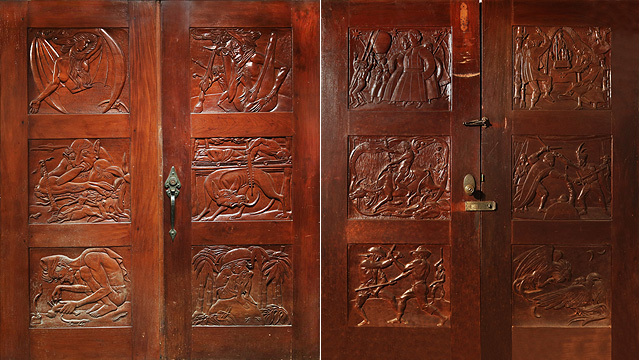 The 9 Works Theatrical production opens on July 7. (SPOT.ph) When Vyen Villanueva received the news in early May that he passed the auditions for the Philippine production of the Broadway musical Newsies, his sister immediately asked, "So kailan ka magre-resign?" His Facebook profile now says "Worked at BPI - Asset Management and Trust Group" (operative word: Worked) and the 25-year-old banker found his way back to the arts. 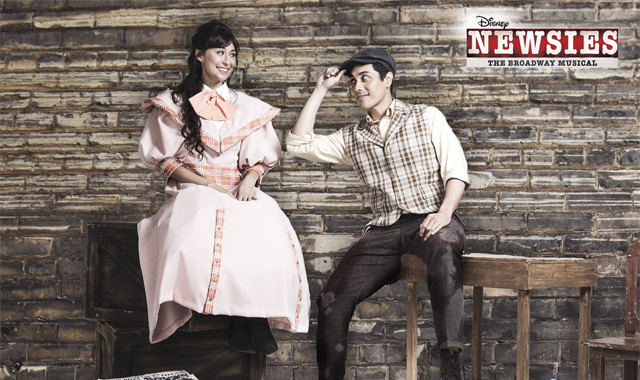 Newsies, which is produced by 9 Works Theatrical and Globe Live, is set to open on July 7 at the Globe Iconic Store in Bonifacio Global City. Based on the 1992 Disney musical film of the same title, it portrays the real-life Newsboys Strike of 1899 in New York City. Seventeen-year-old Jack Kelly leads the "newsies" (newspaper boys) in a protest against New York World publisher Joseph Pulitzer who continues to increase the cost of the newspapers sold to them. It's a story of child labor, underdogs, and rising up to the challenge. 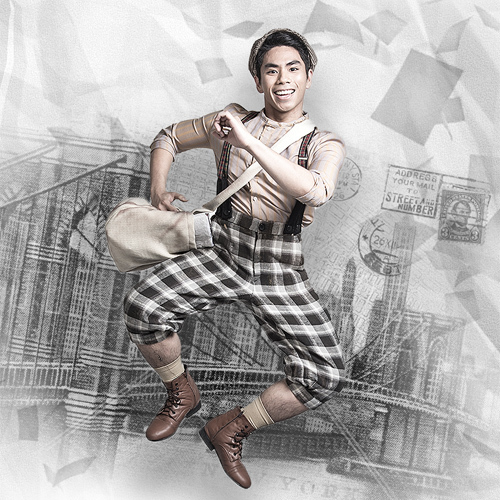 Speaking of challenges, Villanueva is just one the large group of cast members being trained seven hours a day by Newsies choreographer, PJ Rebullido, for 9 Works' most difficult dance musical yet. Also onboard is Star Magic Circle and MYX VJ Alex Diaz, theater actor Kendrick Ibasco, UP Filipiniana dancer Jourdan Bartolome, and many more. They came from different disciplines but they're now trained to be "triple threats" through the theater company's Training Ground, a six-week boot camp where they learn ballet, gymnastics, tap dance, hip hop, singing, acting...the list goes on. "Me and dance, we've been fighting for years. I have the most difficulty in ballet because it just goes against my general...life," revealed burgeoning theater actor Jef Flores in a press event for Newsies on May 30 at Ibiza Beach Club in Bonifacio Global City. Director Robbie Guevara also explained that they were directed by Disney Theatrical Productions to come up with their own choreography, set design, and blocking, but still use the same music by Alan Menken, lyrics by Jack Feldman, and script by Harvey Fierstein. “That said, it is actually a challenge because there’s some choreography where PJ just thinks instinctively. Based on a particular lyric, he would give his choreography and I would say, ‘Oh they did that in Broadway.’ It’s not like he copied it. It’s just what came to him instinctively because of the lyrics. So that’s another challenge,” he pointed out. 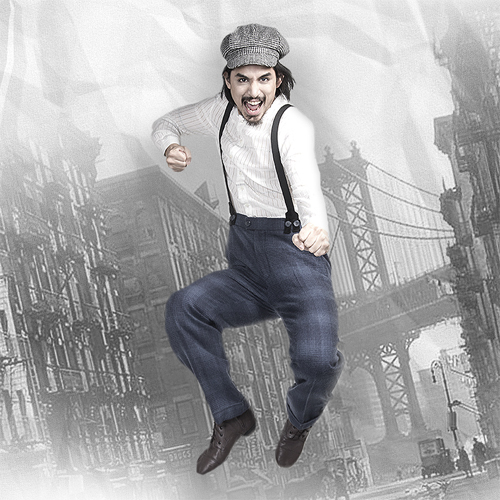 With all this behind-the-scenes buzz, we’re just excited to see the results when Newsies opens. 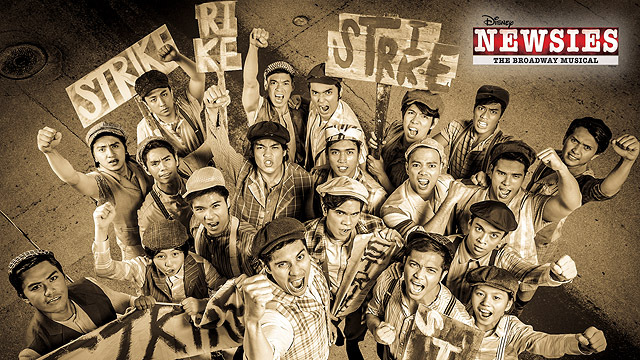 Newsies runs from July 7 to 30, 8 p.m. at Globe Iconic Store, Bonifacio High Street Amphitheater, Bonifacio Global City. 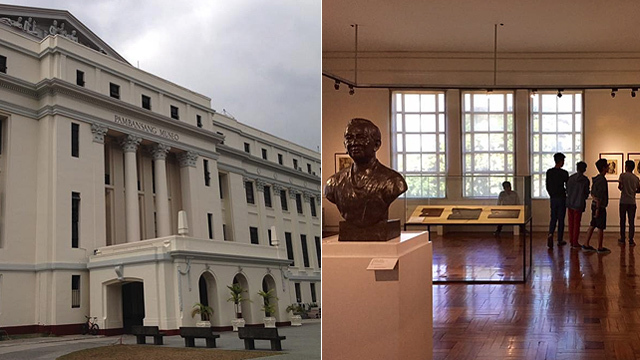 Tickets, priced at P2,000, are available through Ticketworld.